Dog Ear Publishing, 9781457546266, 202pp. 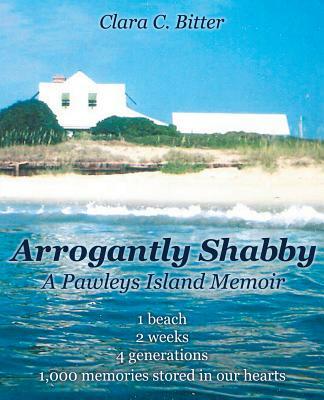 Learn about Pawleys Island -- its beginnings and its legends -- Georgetown and the Georgetown Mill; Murrells Inlet; Oliver's; the ubiquitous head boat and Mickey Spillane; Brookgreen Gardens; and O.D. and the Carolina Shag. See all these through the eyes of the Bitter family as they made it their vacation home for years. Meet the indomitable matriarch, Dammo, whose mineral rights to several Kentucky mines suddenly spat out a royalty check for $30,000 for the first time in thirty years. With lots of cash and lots of family, the idea of a multi-generational get-together appealed. Watch family members create entertaining schtick: the invention of the Pawley Dog, Bloody Marys on the porch, burying teens up to their neck in sand, impersonating popular actors, sculpting award-worthy sand castles, foraging at an age-damaged mom and pop grocery, keeping mind-boggling "bed-days" charts, and sailing the Hobie Cat into questionable situations. Share the bittersweet ending of our sojourn the summer before historic Hurricane Hugo wrecked and changed the island. But dwell not on one sad event, because we did it all and then some.